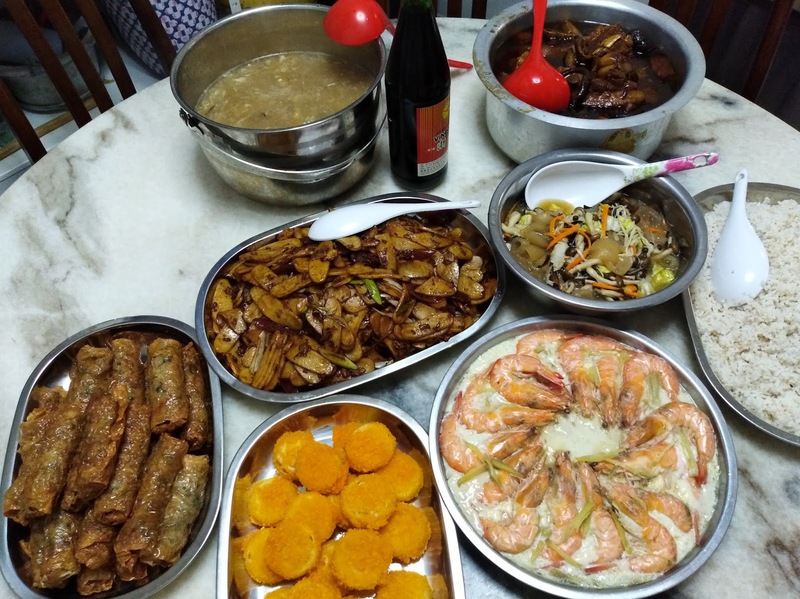 It has been a while since the last time we went to my parents' house for reunion dinner on CNY eve. It wasn't meant to be this year too but we happened to drop by to pass some wild Longan fruits to them. The longan was from my in-law who bought over from Kapit. So it happened when we dropped by at my parents, they were about to start eating lunch. 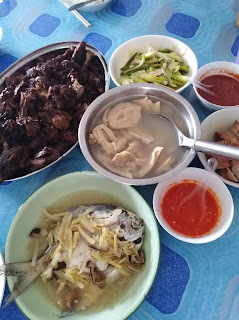 Yes, they were having reunion lunch this year since my brother needed to go to his in-laws for dinner. So we 'helped' ourselves to the reunion lunch. 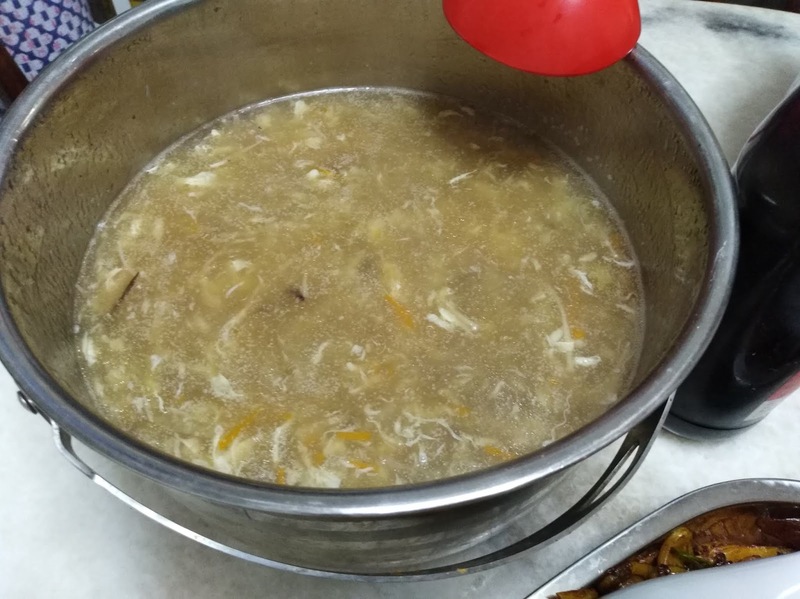 My mum's specialty dishes such as braised duck and bamboo shoot soup. Then we drove back to my in-law's house to hang out. 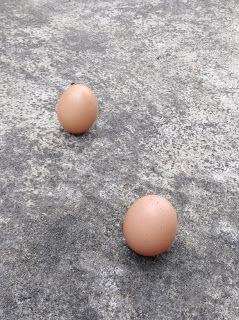 We also did the egg standing stuff and believe me, I did my egg standing stunt for the first time! It took some time but I did made my egg standing still. So proud of myself. Jamie and daddy did theirs with ease while Jan can't do it. Next year try again, Jan! 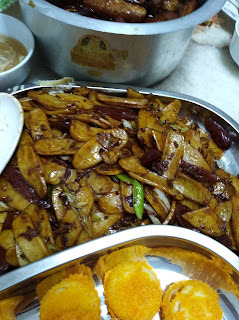 Around 5pm, we had our reunion dinner. My brother-in-law did all the cooking. His specialty got to be the vinegar pork trotter and fried white rice cake. 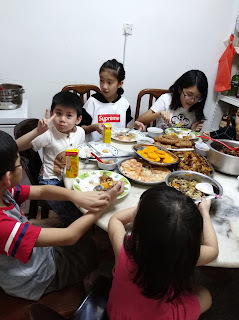 The kids had their turn to eat first on the table before the adults took their turn to enjoy the food. While we were at the table, the cousins had a great time reconnected and taking many photos. It was fun looking at the kids, growing up and getting together on Chinese New Year eve. Gong Xi Fa Cai to u and your family! May this be a belly belly porksperous year for u! You had fish for lunch but not for dinner. Hmmmm...I was expecting to see empurau all the way from Kapit. Hehehehehe!!! Oooo...duck! We did not get to eat any this year, my missus doesn't eat duck so she did not cook it. 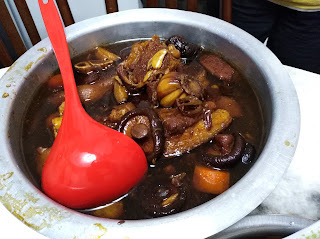 Xin Nien Khuai Le! What a lovely reunion! Back in the days at my late grandparents house, the men ate first and the ladies after that. We girls did not mind as we can eat at a more relaxed pace. 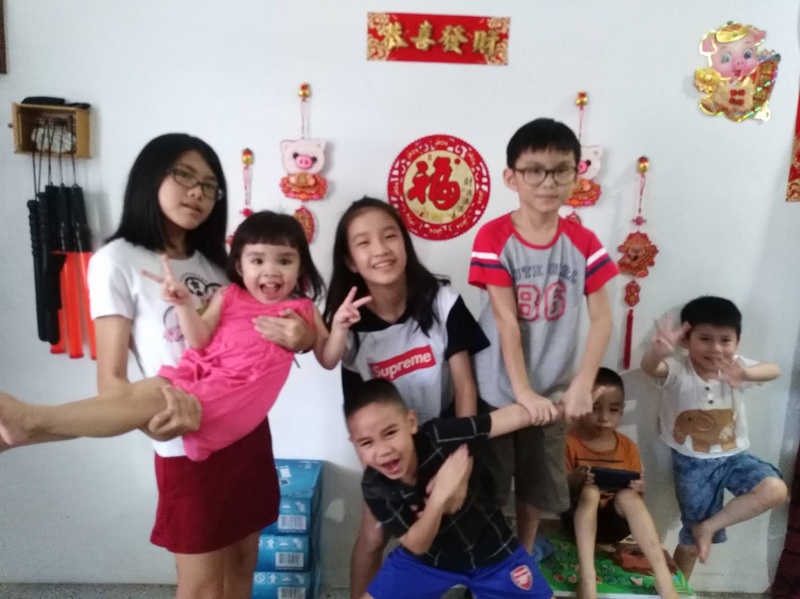 Happy Chinese New Year to you and the whole family! First time I heard of take turns to eat reunion dinner, maybe because yours is a one whole big family hee hee. Happy CNY to you and your family. The egg stand thing, I tried with the boys again the day after and to our surprise, we managed to get them standing too! Happy Chinese New Year to you and family! 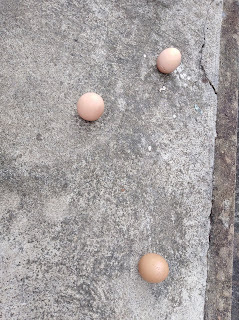 I too tried the egg standing for the first time this year. After a few tries, I succeeded and I left the egg standing until the next morning when it rolled over by itself. It was a great achievement for me. Lol! There's so much love and fun during reunion meals with family! This fried white rice cake is new to me.